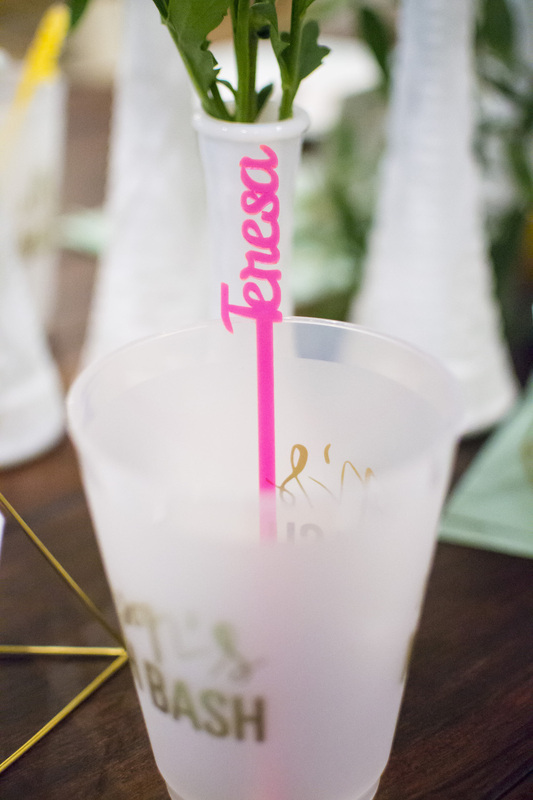 My fun little side projects during this first semester of grad school included planning two very special bachelorette parties, as I had the honor of being a double maid of honor this spring for my sister and my best friend Allyson. 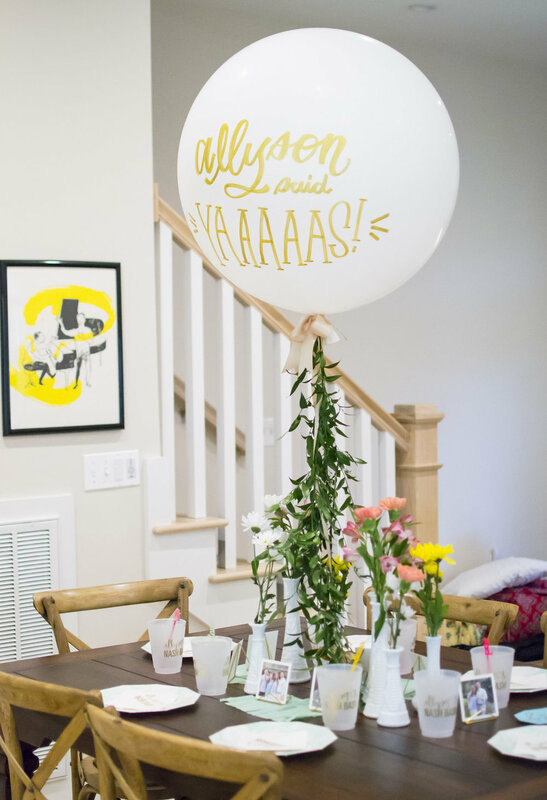 We chose Nashville for Allyson's bachelorette party not just because it's basically the bachelorette capitol of the world right now (not kidding...it's crazy how many bach parties there were!) 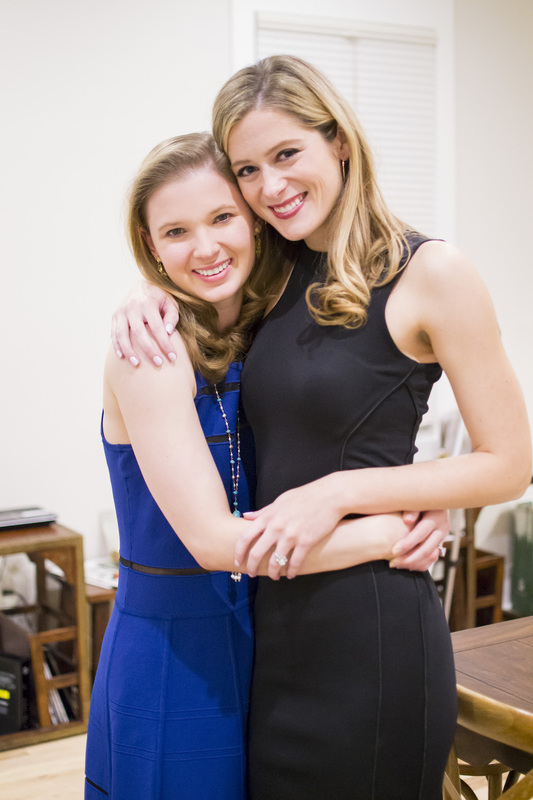 but also because Allyson and her fiance and many of my fellow bridesmaids live there and met at Vanderbilt. 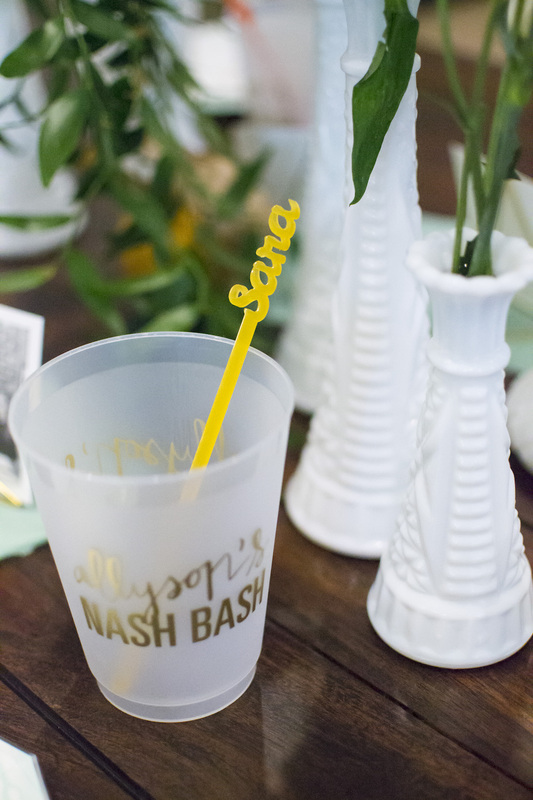 We rented the cutest AirBNB for the weekend, and I had so much fun with the decorations, including Sip Hip Hooray custom metallic Nash Bash napkins and cups, a big white Vroom Vroom balloon (a Nashville specialty) with fresh greenery tail, fresh flowers, neon name drink markers and a custom gold banner (both from Bracket), and seafoam fringe streamers. 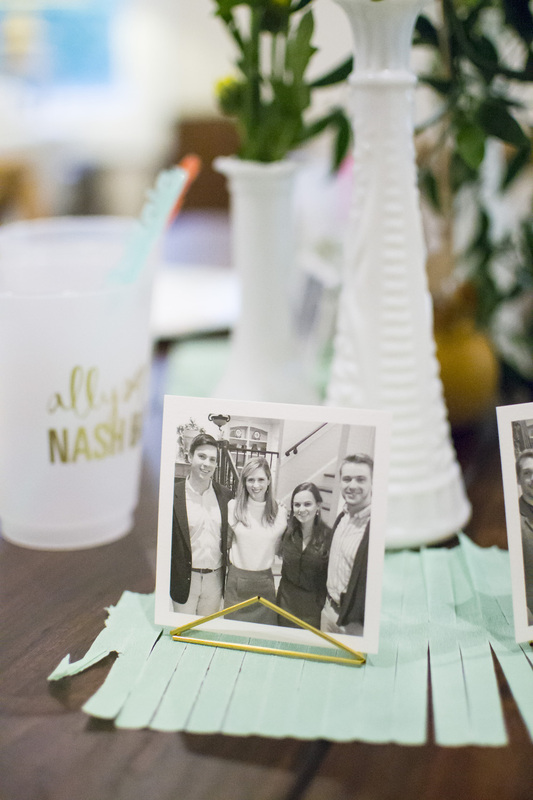 For party favors that doubled as table decorations, I chose Artifact Uprising square prints so that everyone got a picture with the happy couple to take home, along with the cutest little gold photo holders from Etsy. 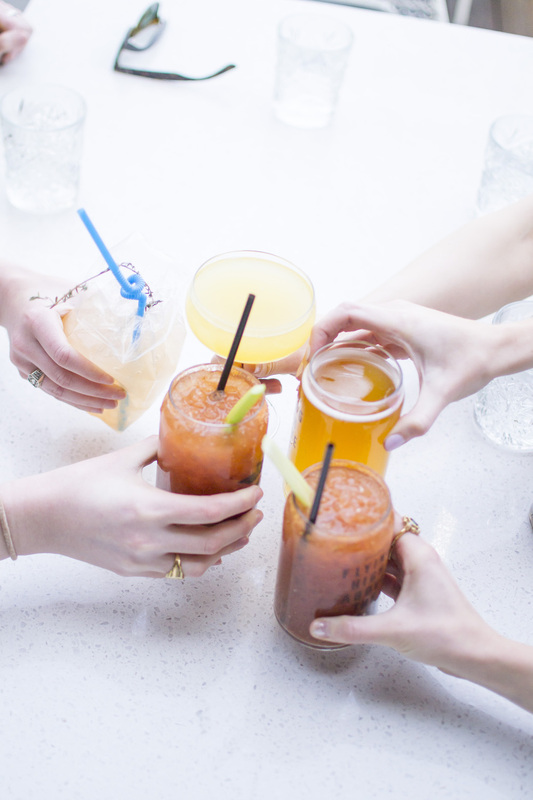 Highlights of our activities included dinner at Virago, a night our on Broadway, a morning of goat yoga at Shenanigoats, brunch at The Mockingbird, Bushwackers at Rebar, and a night in with Two Boots pizza. 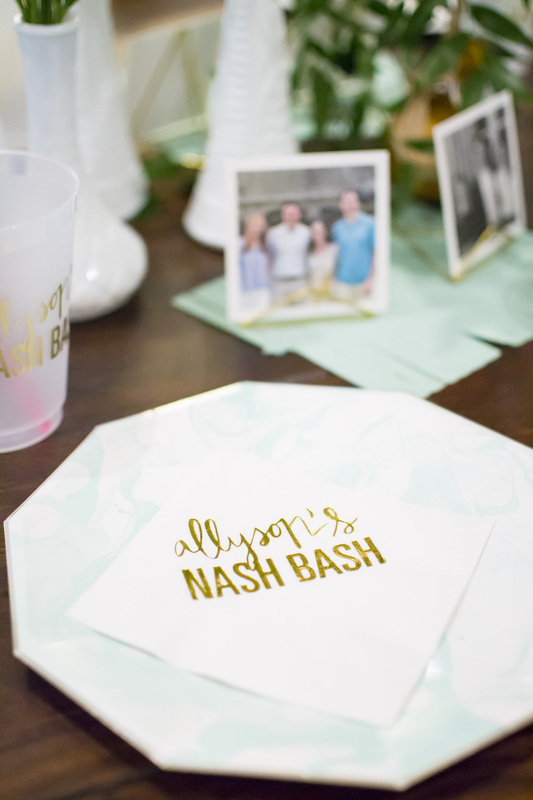 All in all, it was quite the Nash Bash!